support Lahainaluna’s significant history, culture, agriculture & sustainability. “Buge” has partnered up with the Rotary Club of Lahaina Sunrise, The Lahainaluna High School Foundation, The Lahainaluna Boarders Foundation, PI Artisan Pizzeria and Laulima Events & Catering to make The Taste of Aloha a successful event. Bringing this awareness to the community and to raise much needed funds assisting with the sustainability needed to keep the Boarding Department’s doors open. The Taste of Aloha event’s sole purpose is to bring awareness of the critical needs for the Lahainaluna Boarding Department to not only survive but to once more become a thriving, agriculturally sound, self sufficient program that not only our children who attend Lahainaluna can be proud of but the community as a whole. Because of the Boarding Departments lack of funding and various other challenges it has faced over the years it is time to have a “Call to Action”. 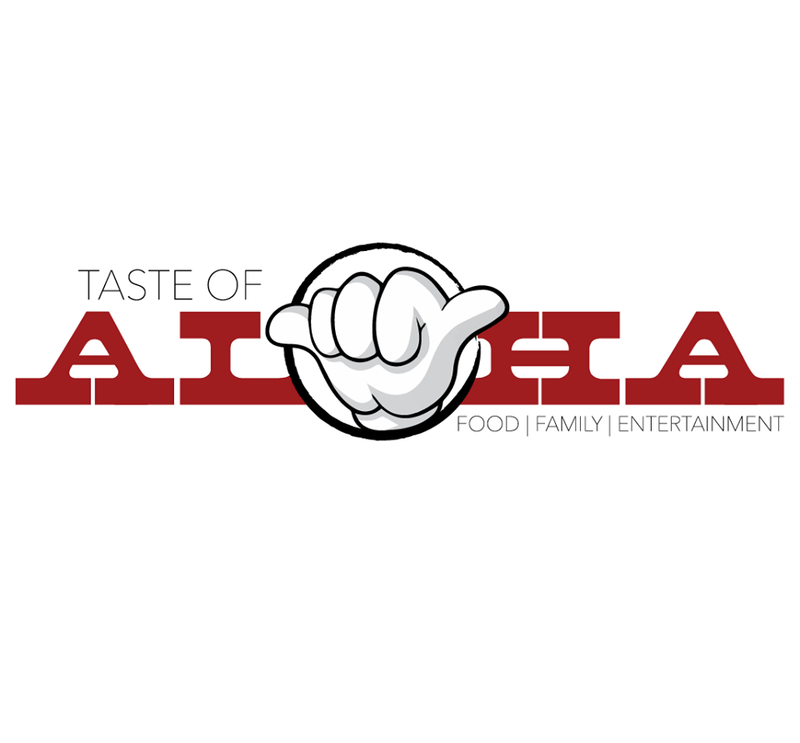 The Taste of Aloha event also hopes to bring together once again the Lahaina Town Community, Lahainaluna Alumni, and Visitors to Hawaii as well as the whole Community of Maui. This event promises to bring ‘ohana from all around the world as Lahainaluna High School has touched many people’s lives worldwide. Program of Lahainaluna through the Lahainaluna Foundation. We hope to raise over $30,000 with the help of our community and you. Please consider making a monetary donation, becoming an event sponsor, and/or donating a gift certificate or item for our silent auction. Silent Auction Donations may be directed to Silent Auction Chairperson, Gabi Masuda at (808) 870‐3278 or send directly to 861 Kuialua Street, Lahaina, HI 96761. Please be sure to put the description of your donated item, retail value of the item(s) plus your contact name & number on the Donation Form Enclosed. 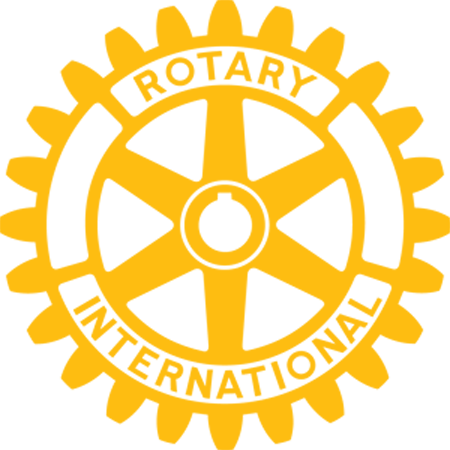 Monetary Donations may be mailed directly to The Rotary Club of Lahaina Sunrise at P.O. 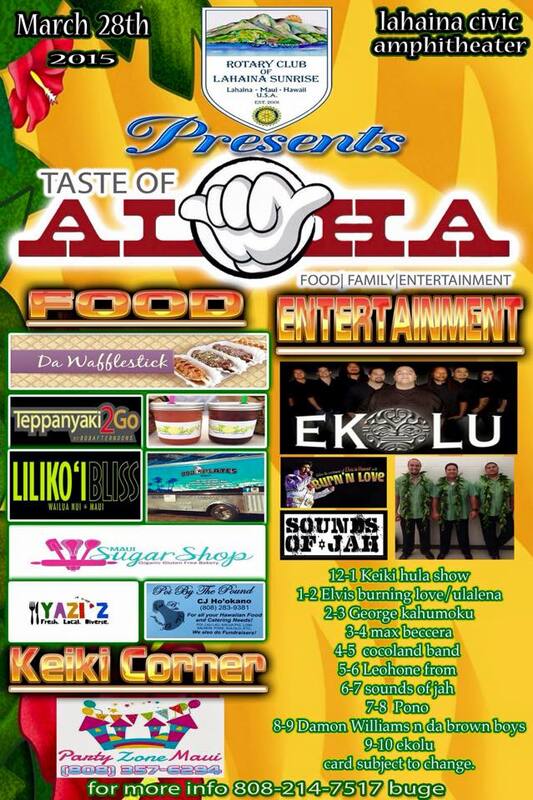 Box 913, Lahaina, HI 96767 or contact Lahaina Sunrises 2015 President Elect & Co Chair of Taste of Aloha, Tera Paleka at (808) 870‐3653 and/or Tera@Paleka.com to arrange pick up. 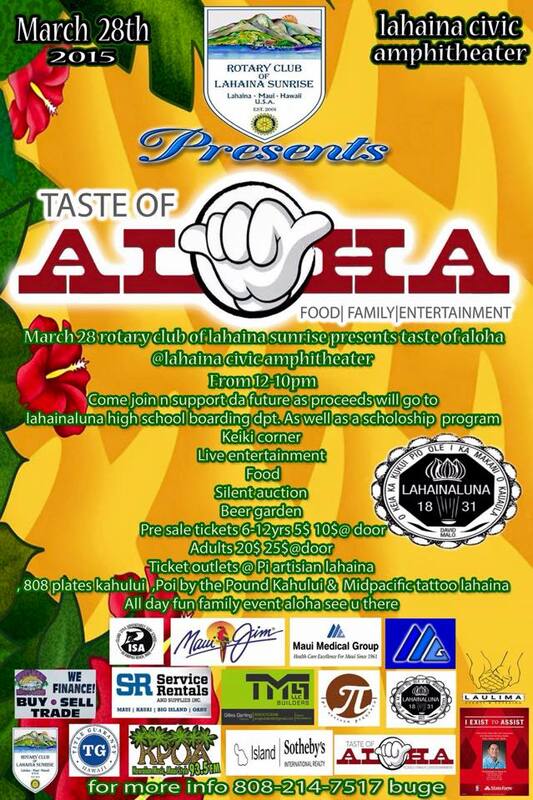 You may also donate by going online to www.lahainasunriserotary.org and click the link Taste of Aloha. Additional information and forms can be found there as well. All checks should be made directly out to “Rotary D5000 Foundation”.